5 Bedroom Detached House To Rent in Walton-on-Thames for £6,500 per Calendar Month (Calculated). 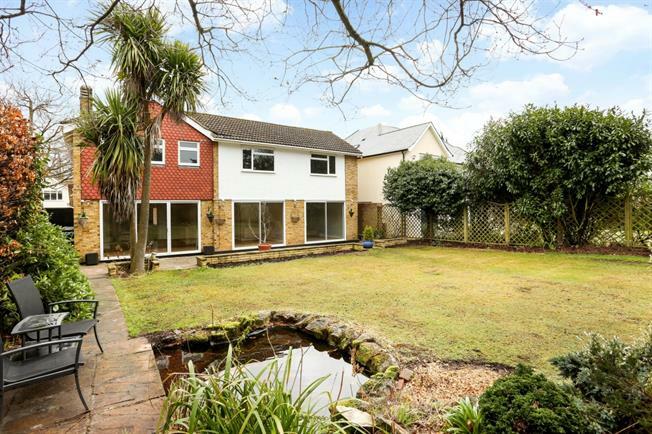 This executive detached family home has been totally refurbished to a high standard by our clients and provides accommodation over two floors of approximately 2600 sq. ft. The spacious entrance hall has wood flooring, storage cupboards and leads to the main principal reception room. The large living room has views of the gardens and a feature fireplace with patio doors leading to the garden. The two other reception rooms are equally impressive, running across the rear of the property both offer patio doors opening to the garden. A contemporary fitted kitchen/breakfast room with an extensive range of fitted units and integrated appliances enjoys views over the front and leads to the family room. To complete the ground floor is a downstairs cloakroom. Upstairs you are greeted with a spacious landing with plenty of storage and five impressive bedrooms all of which have fitted wardrobes. The master bedroom benefits from a dressing room and its own en-suite bathroom. The remaining four bedrooms are serviced by two family bathrooms.